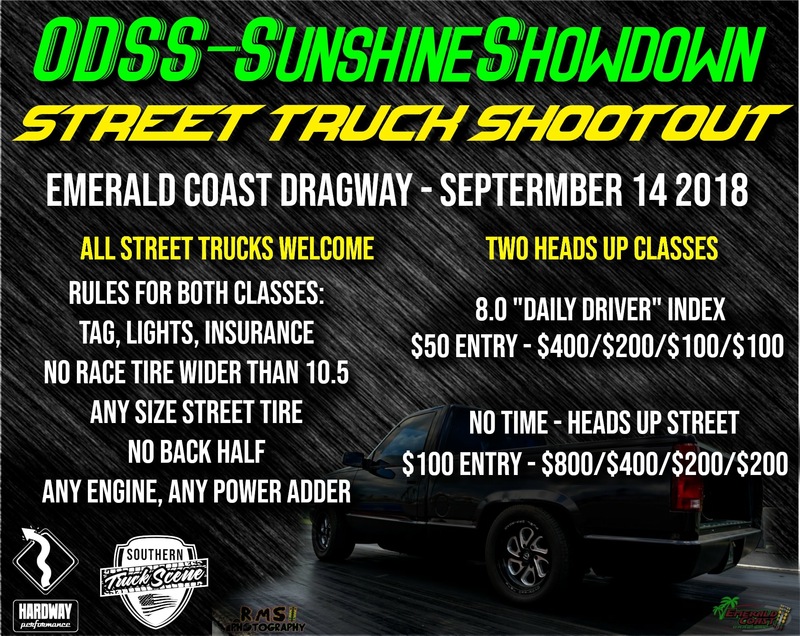 HARDWAY SUNSHINE SHOWDOWN – THIS WEEKEND!!! The weekend we’ve all been waiting for is here, the Hardway SunShine Showdown, stop 5 on the Outlaw Diesel Super Series National Tour! 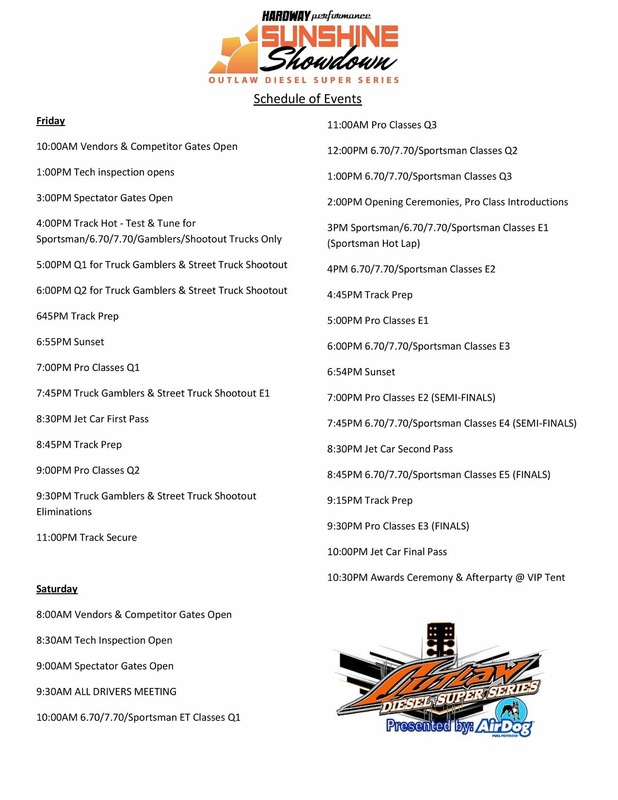 We are expecting 100+ competitors with everything from 2000hp Diesel Powered Dragsters, 200mph Jet Car, 4 second Diesel Powered Pro Mod’s, bottom 5 second Pro Street trucks all the way to diesel powered daily drivers battling it out in the Sportsman ET Category! KIDS 12 AND UNDER FREE!!! Regular Gate Entry $25/day or $40 weekend pass – Available at the gate.